The many recent natural disasters have been very stressful, unpredictable, and caused a lot of damage. Personally, I have revisited disaster preparedness planning and updated our emergency kits. 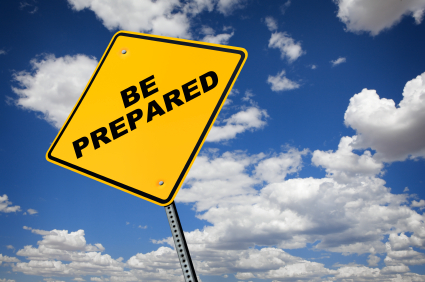 It is always a good idea to be prepared and develop a plan for your family. Consider creating emergency kits that you can store in accessible locations, like your car and somewhere central in your home. Hard copies of key documents like passports, social security cards, birth certificates, real estate deeds, and your Estate Plan can be kept in a fireproof and waterproof container. Do make sure that important loved ones (e.g. nominated trustees and guardians) know where these documents are and would be able to access them should something happen to you. Make sure you all know this plan and have each family member's phone number handy (since we often just rely on the address book in our phones). Don’t let the gas tank become empty. In the event there is a disaster, lines for gas stations may be enormous or the stations may run out of gas. Have some cash on hand so if there are electrical outages, you still have some money. Keep snacks and water in the car. This might be something I’ve learned as a mom anyways!